What is the purpose of the plastic bench seat? The plastic bench seat is a small but useful furnishing that finds its niche in damp and wet areas since it’s these areas that need non-corrodible materials in their furniture the most. The plastic bench seat is very useful for areas where other construction materials would weaken and fail over time. Where can the plastic bench seat be used? 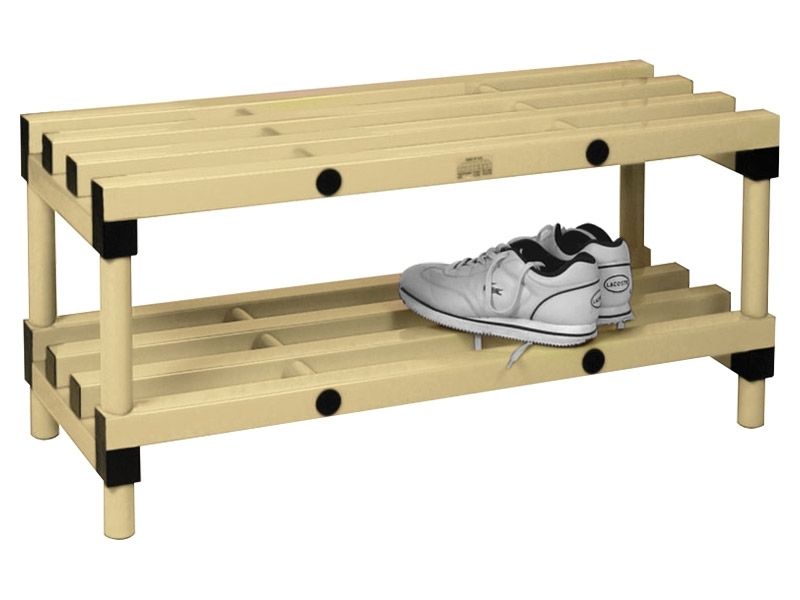 The plastic bench seat is a great addition to any gym changing room since it's small and unobtrusive and able to be used in a variety of situations. 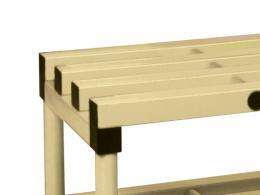 This plastic bench seat is well suited to all sorts of applications especially as a bench for use while changing shoes. It even comes with a plastic shoe holder add-on that does a good job of keeping them ready at hand for putting them back on after any type of training. Who might use the plastic bench seat? The construction of the plastic bench seat lends itself to utilisation in pool changing rooms first and foremost. The plastic is unable to be corroded by the moist atmosphere and delivers a durable performance as a seating device. 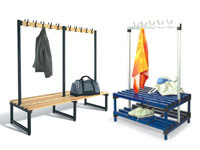 The plastic bench seat is also a notable addition to gym changing rooms situated near a shower. The water droplets make for a harsh environment for wooden and metal benches since they corrode extremely quickly. 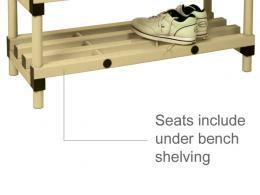 These plastic bench seats come with a built in underside for the storage of shoes in the short term. The plastic construction is far more durable than either metal or wood in some situations. The material also serves to make the bench lightweight so it can be easily moved from room to room where it may be needed. It is easy to disassemble for the purpose of cleaning the elements and can be put back together just as simply as it was taken apart.